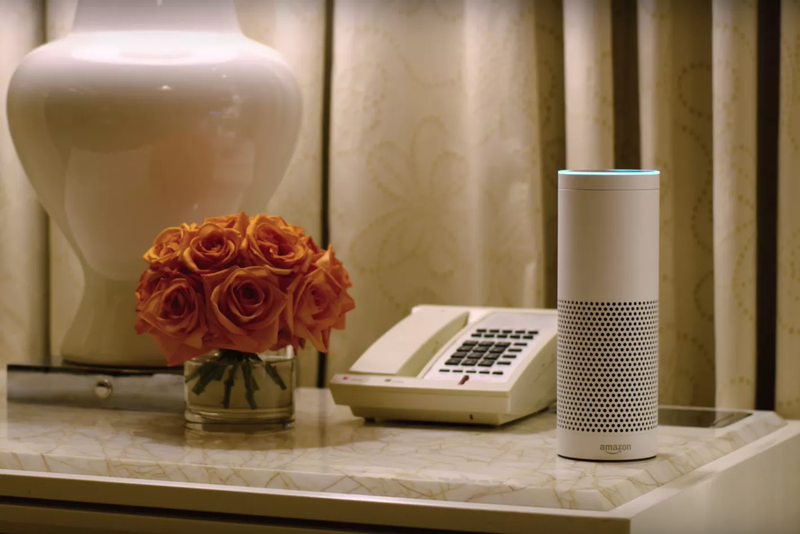 The Wynn Las Vegas Hotel just announced that it will be installing the Amazon Echo device in every one of its 4,748 guest rooms by Summer 2017. Apparently, hotel guests will be able to use Echo, Amazon’s hands-free voice-controlled speaker, to control room lights, temperature, and drapery, but also some TV functions. CEO Steve Wynn: “I have never, ever seen anything that was more intuitively dead-on to making a guest experience seamlessly delicious, effortlessly convenient than the ability to talk to your room and say .. ‘Alexa, I’m here, open the curtains, … lower the temperature, … turn on the news.‘ She becomes our butler, at the service of each of our guests”. When these devices detect the wake word, they stream audio to the cloud, including a fraction of a second of audio before the wake word. That could get embarrassing or even dangerous, especially if the “wake word” was actually a “false alarm“, i.e. something the guest said to someone else in the room perhaps that sounded like the wake word. All commands are saved on the device’s History. The question is: Will the hotel automatically wipe the device’s history once a guest has checked out? Or at least before the next guest arrives in the room! Can perhaps every guest have access to their own history of commands, so that they can delete it themselves just before check-out? These are crucial security aspects that the Hotel needs to consider, because it would be a shame for this seamlessly delicious and effortlessly convenient experience to be cut short by paranoid guests switching the Echo off as soon as they enter the room!